Terry Joe Bean, age 54, of Broken Bow, Oklahoma, passed from this life to his heavenly home on Thursday, December 6, 2018 at his home surrounded by family. Terry was born on February 4, 1964, in Idabel, Oklahoma the son of Leroy Bean and Connie. He was a good and simple man loved taking care of his family, playing and teasing his nieces and nephews, taking care of his bulldogs, and enjoyed fishing. His memory will be forever in the hearts of all who knew and loved him. 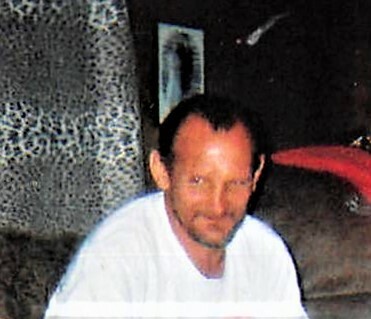 Terry is preceded in death by his parents, Leroy and Connie Bean; brothers, Roger and Russell “Pug” Bean; sisters, Teresa and Debra Bean; nephew, Joshua Lee Masters. His memory will forever be cherished by his brother, Jimmy Dean Bean of Lexington, Oklahoma; sisters, Loretta Wilson and husband Dewayne of Broken Bow, Oklahoma and Lillie Bean and husband Ray Ralph of Broken Bow, Oklahoma and a host of other relatives, nieces and nephews and friends and Dena Gee. A Graveside Service will be Sunday, December 9, 2018 at 2:00 P.M. at the Glover Cemetery in Broken Bow, Oklahoma with Bro. Martin Scott officiating.